Planning your vacation? 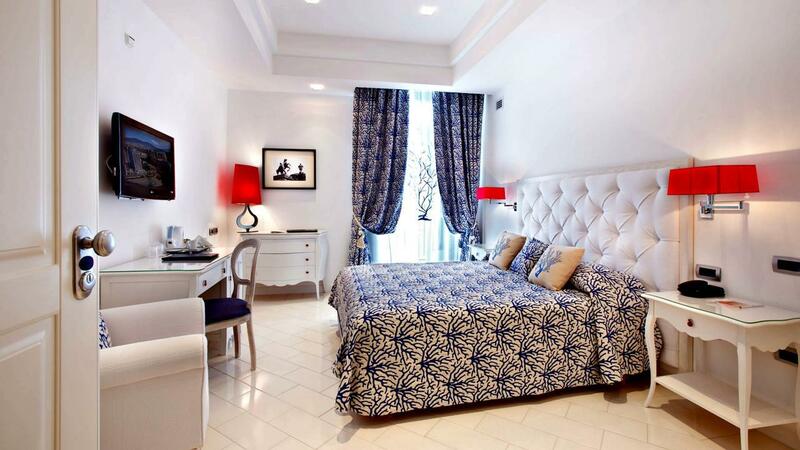 Take your Italian getaway to the next level with a stay at one of these top hotels in Naples. The unruly, untamed soul of Italy is bustling, noisy and scruffy, but it’s also a cultural goldmine full of art-filled churches, underground crypts, archeological and historical wonders, and gleaming palaces. Oh, and the rugged coastline dotted with tiny beaches within easy reach is pretty special too. Along with the culture and history, it’s perhaps best known for its most famous contribution to the world—pizza—but there are also plenty of fine-dining opportunities. 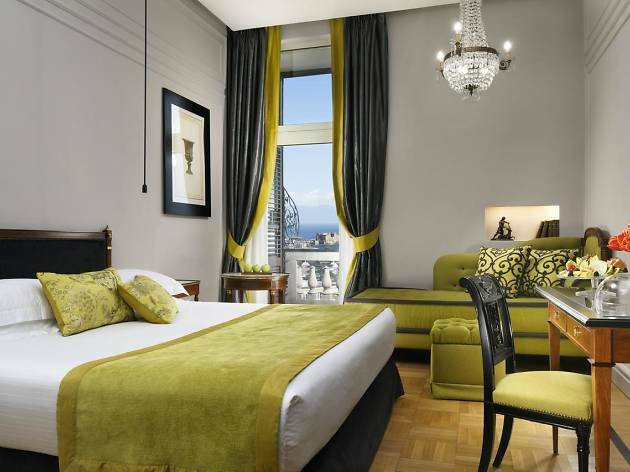 The accommodation is equally wide-ranging, so choose to stay in a Liberty-style villa, a modern 5-star seafront hotel or a converted palazzo and, if you can afford it, get a room with those incredible views over the Bay of Naples and smouldering Vesuvius. 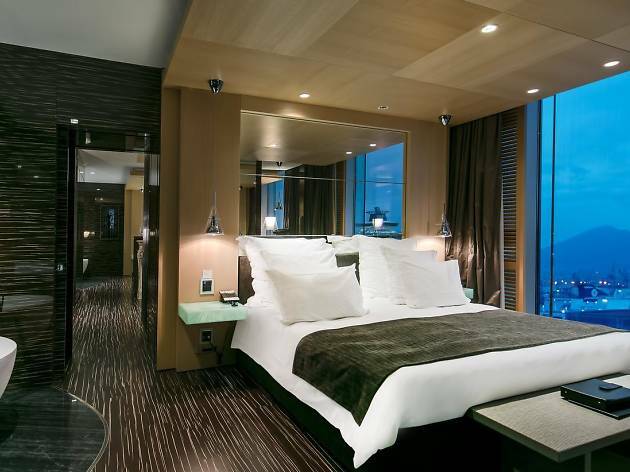 Designed by the late Kenzo Tange, the Romeo is wonderfully lavish and full of antiques and contemporary art. 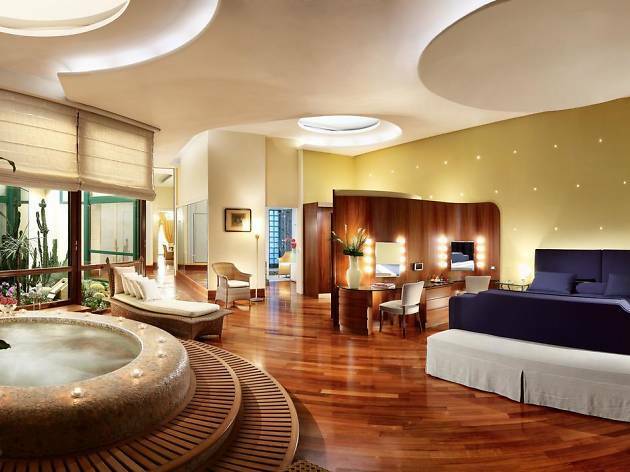 Rooms are simple but luxurious, with sleek fittings, and the fabulous rooftop spa features a pool overlooking the Bay of Naples and Vesuvius. Facilities include a top-class fine-dining restaurant on the top floor, and the Beluga Lounge Bar & Terrace on the 9th floor also offers incredible views, along with tasty cocktails and snacks. The ground floor Bistrot 9850 is available for drinks and a combination of Neapolitan and oriental specialities. 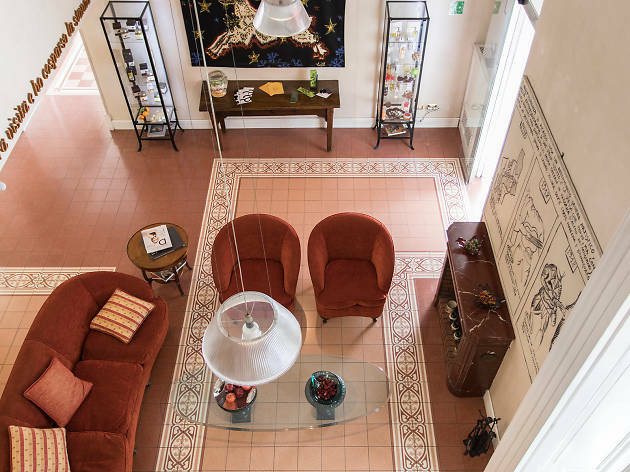 Describing itself as a 'refuge,' the C104 is a two-storey LIberty-style villa that’s centrally located but tucked away from the bustle of Via Costantinopoli, a street of antique dealers and restorers. 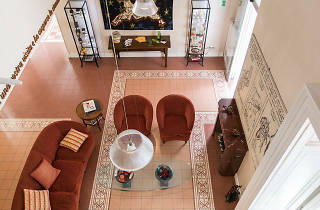 The house features marble floors, a huge Art Nouveau-style stained glass window, and simple but elegant individually designed rooms furnished with artwork. In warmer weather, breakfast can be taken on the terrace overlooking the small pool and gardens. 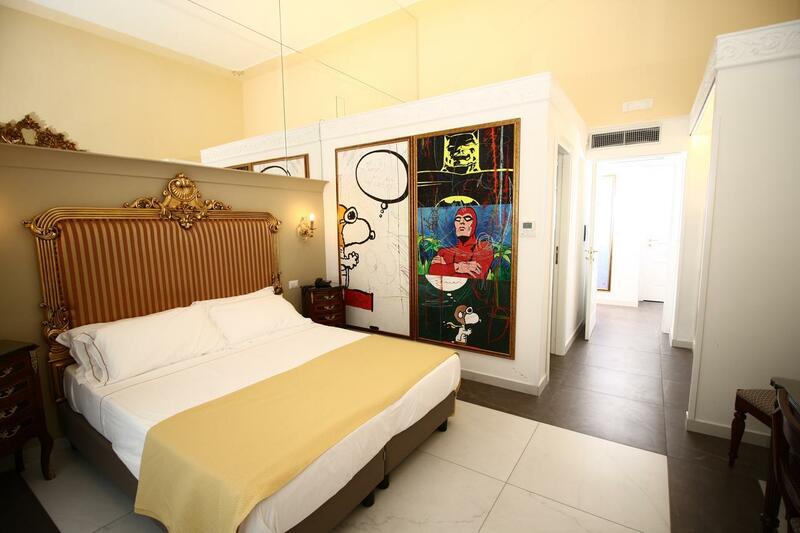 It's a short walk from important sites including the National Archaeological Museum and Cappella San Severo, and the metro stations Dante and Museo are just a few metres away. 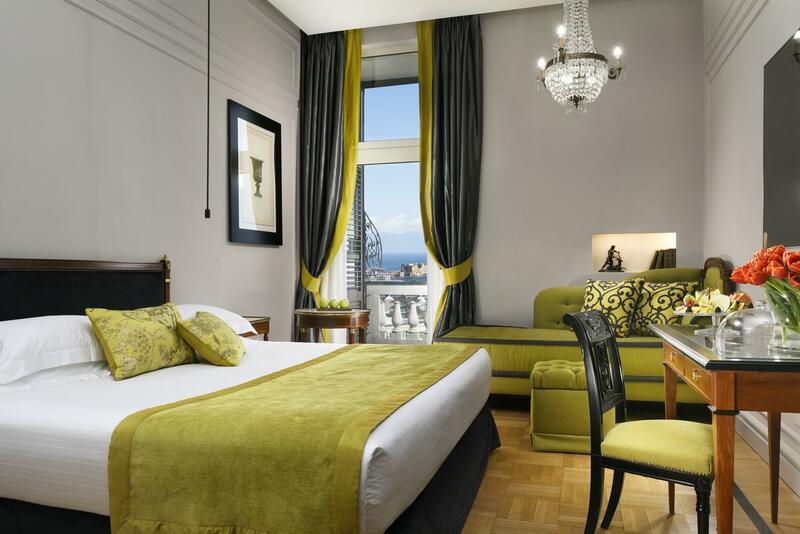 One of Naples’ oldest and grandest hotels, the Excelsior has long been the destination for princes and politicians, actors and singers. 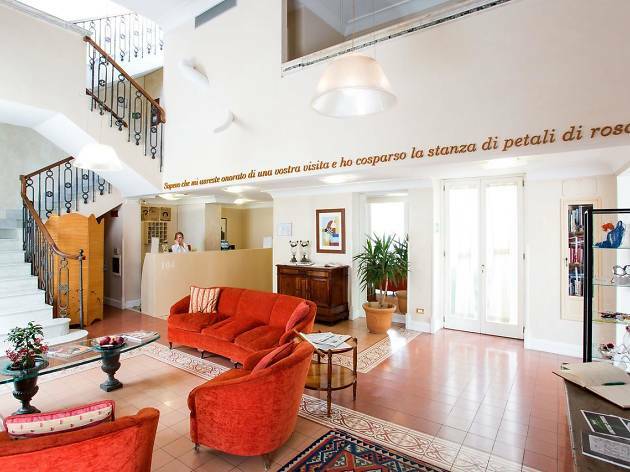 It has a wonderful position on the seafront with views over the sea and Castel dell’Ovo. The public areas are the epitome of elegance, furnished with Carrara marble and Murano glass chandeliers. There are 100 rooms and 22 suites, equally refined, with silk panelled walls and marble bathrooms, but be sure to choose one with a view. The hotel also has a fabulous restaurant, La Terrazza, on the top of the hotel. Sunset cocktails can be enjoyed in the L’Ottavo Cielo Bar ( Eighth Heaven). 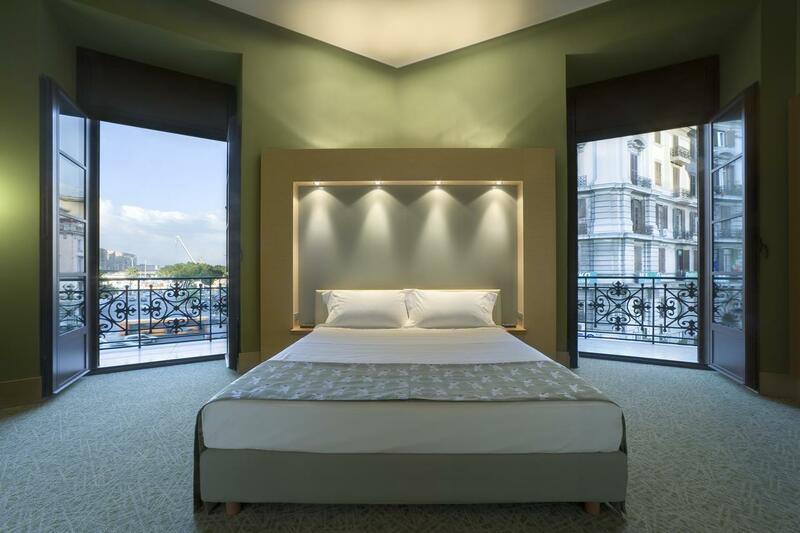 This unique hotel is located inside the famous Galleria Umberto I, a fabulous 19th-century arcade with a glass and steel roof. 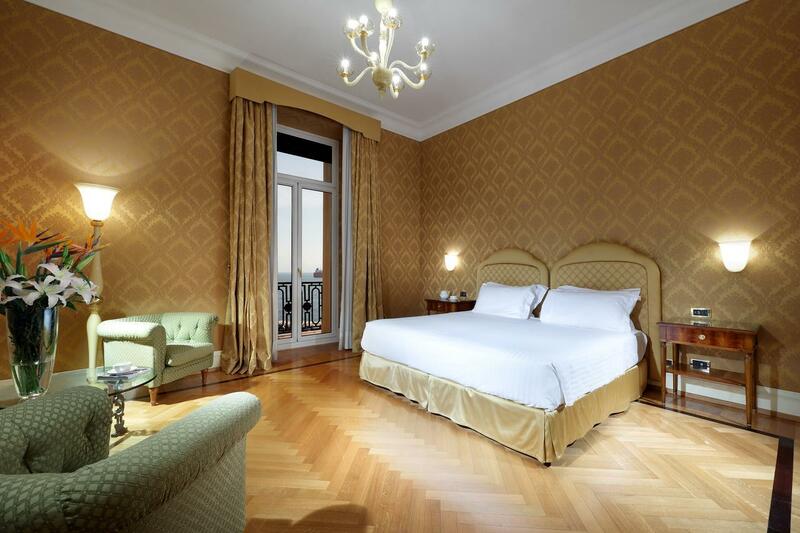 Step into the 19th-century lift and out on the fourth floor into an elegant four-star residence furnished with Neapolitan Baroque works of art. 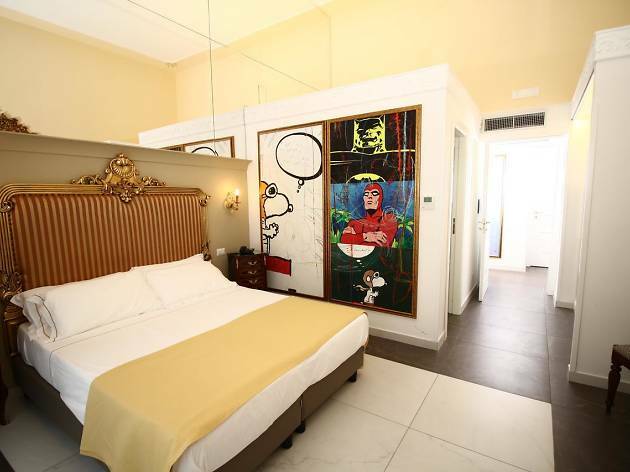 At Art Resort Galleria, soundproofed rooms are decorated in sympathy with the surrounding Galleria and feature high ceilings, drapes, and plenty of gilt, marble, mirrors, and mosaics. Some beds are four-poster, and roomy bathrooms are equipped with showers and/or whirlpool baths. 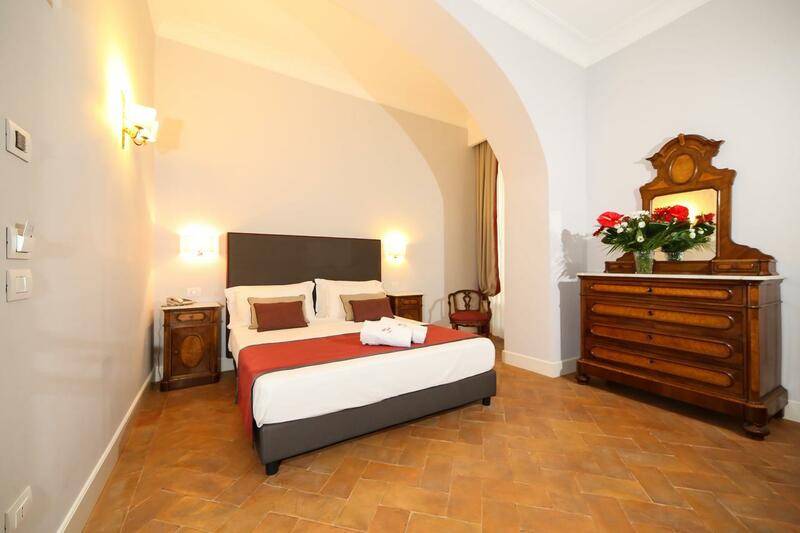 Centrally located close to Santa Chiara, and a short walk from the University quarter, the Decumani was once home the the last bishop of the Bourbon Kingdom of Naples,and the building has been beautifully restored. Simple but elegantly appointed rooms are decorated with tasteful antiques. En-suite bathrooms are modern and well equipped with power showers and/or bathtubs, but the most spectacular part of the restoration is the Baroque-style hall where the excellent buffet breakfast is served; with its painted ceilings, golden stuccos and mirrors, it has to be one of the most jaw-dropping rooms you’ll ever eat your breakfast in. 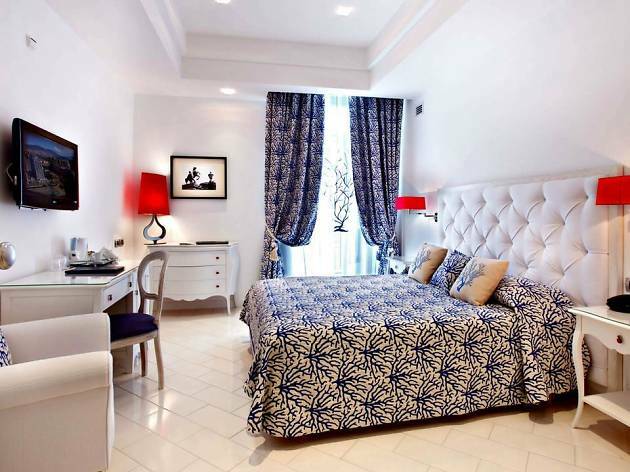 Located in leafy Vomero, high above the city, Parker’s is the oldest hotel in Naples, and was once a favourite with 19th-century British travellers. Today it continues to attract those who love the grandure – public areas are filled with crystal chandeliers, Greco-Roman statuary and Empire antiques, and there’s also a library and a plush spa. 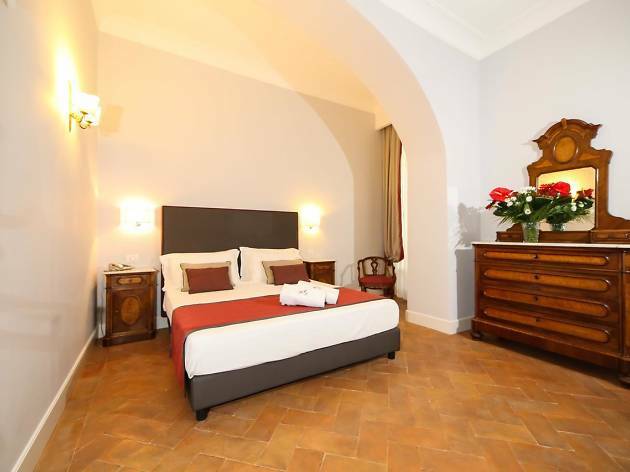 Rooms are classically decorated, with a few antiques, and comfortably equipped (all but standard rooms have Nespresso machines). Choose one with a view over the city below. One of the two restaurants is on the roof terrace that is blessed with panoramic views. 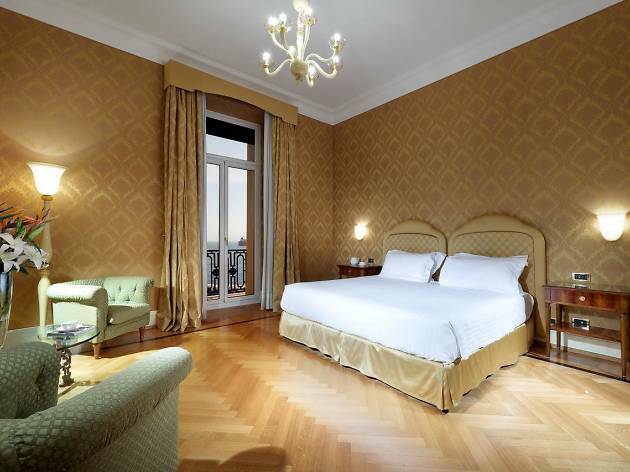 In a renovated 19th-century building, the 4-star Una lies on the corner of Piazza Garibaldi and Corso Umberto I. 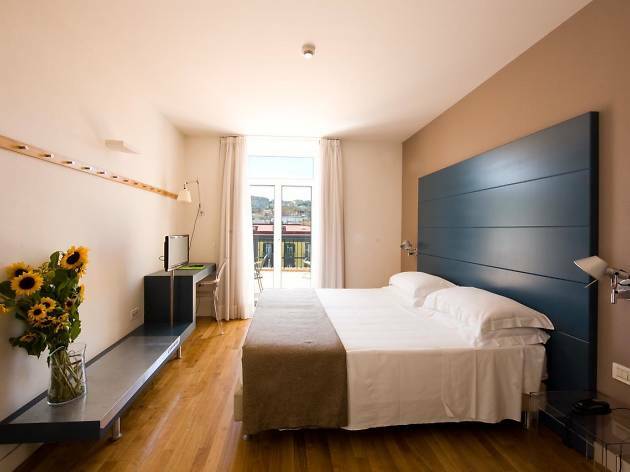 In spite of its proximity to Garibaldi station, the hotel is a calm oasis, with airy rooms decorated with Neapolitan motifs and prints, and marble bathrooms. The UNA Restaurant and American Bar are located on the panoramic terrace, and both offer great views over the bustling city below. It’s handily located for shops, restaurants and transport to Sorrento or Pompeii too. 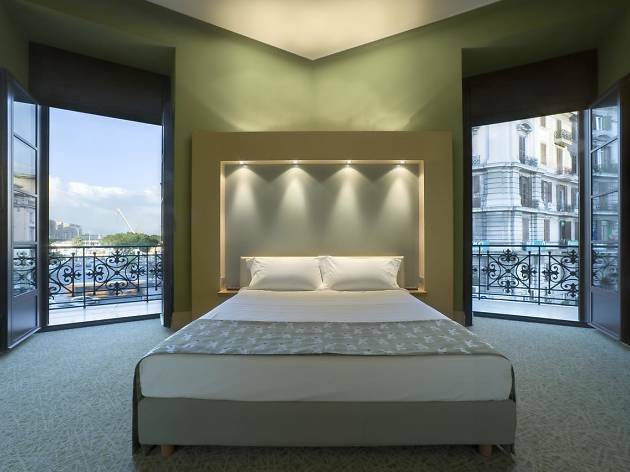 A modern hotel located in an historic building, with stylish, air-conditioned rooms that have large Hastens beds with linen sheets, La Ciliegina overlooks Piazza Municipio, and is central for shops, the famous opera house, Teatro San Carlo, and the port, for ferries to the islands. This hotel is an eco-friendly establishment—rooms are powered by photo-voltaic plumbing—and, for breakfast, offers a wide selection of fresh and dried organic products. 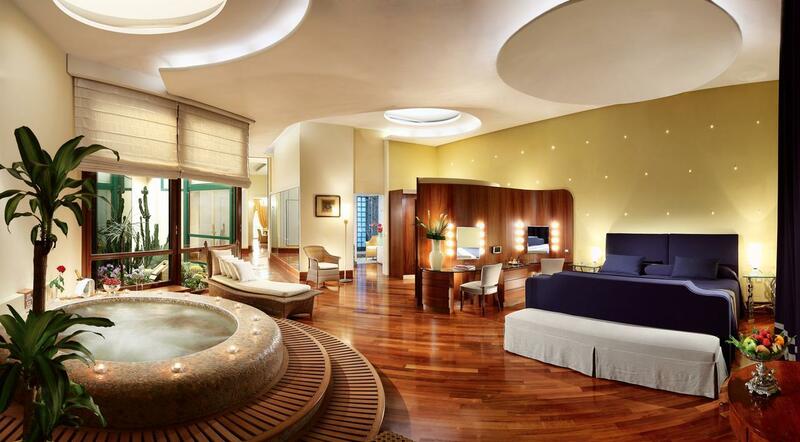 The panoramic terrace, which is on two levels, with views of Vesuvius, has a whirlpool bath and sunbeds. Room rates include breakfast and a welcome cocktail. Having been destroyed during World War II, the Vesuvio was completely rebuilt in the 1950s, and so is slightly less grand than the others on this strip, but it does have those sensational views over the bay and to Vesuvius. The hotel’s roof-garden restaurant on the 9th floor is named after Enrico Caruso, once a frequent guest. Try the Bucatini alla Caruso (pasta with garlic, chilli and courgette). The ground-floor bar offers Neapolitan pastries and snacks, along with evening music entertainment. Air-conditioned bedrooms are stately, and the Echia Club fitness and relaxation centre has an indoor pool, Jacuzzi, sauna and steam bath. On pretty Piazza Bellini, with its profusion of cafés and bars, this is a great central location for sightseeing. 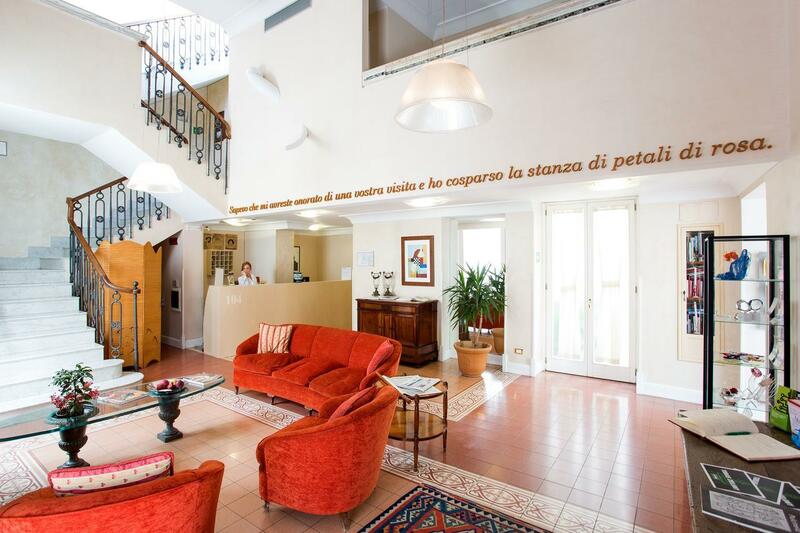 A converted palazzo, the Bellini retains its high ceilings and a marble staircase, but has been given a totally up-to-date look using brightly coloured walls and modern art. 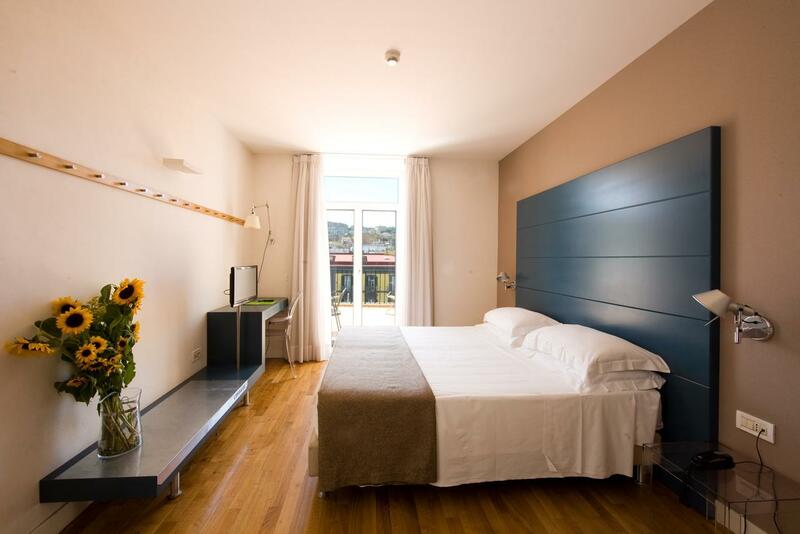 Rooms, though minimalist, are enlivened with designer chairs, have linen sheets and luxurious bathrooms. All have views up to Vomero or over the Bay, but the ones with a terrace are premium. Prices are incredibly reasonable for the area, breakfasts are ample, and as well as a lovely courtyard garden, the hotel has a library area for relaxing.